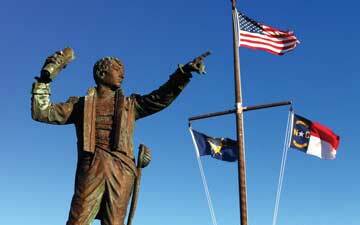 Once the site of an Algonkian Indian village, Swansboro officially began its maritime history in the mid 1700s, when a prominent landowner, Theophilus Weeks, divided a portion of his coastal plantation into 48 lots with six streets, and the colonial port town was born. 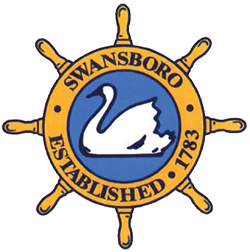 But it wasn't until 1783 that the town was officially incorporated as Swannsborough, named in honor of North Carolina House of Commons Speaker Samuel Swann. 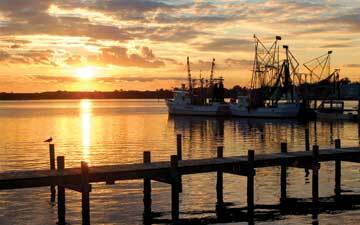 The spelling of the name has changed, but the quiet town, snuggly tucked where the White Oak River meets the Intracoastal Waterway, is still steeped with charm and southern hospitality. It's the perfect place to quiet the soul and refresh the mind. 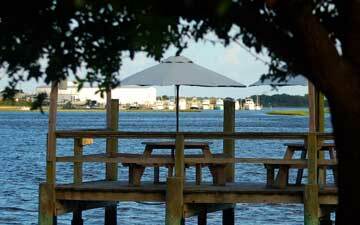 From its quaint historic waterfront to its pristine undeveloped beaches, the Swansboro area offers a relaxing yet exciting destination to explore. Strolling through the streets of the historic downtown waterfront, visitors can envision life as it once was for the port community. Many historic homes and buildings are well preserved. Tall shrimp boats mark the horizon, bringing to mind the town's early heritage of shipbuilding and commercial fishing. Across the Intracoastal Waterway, Bear Island can be seen in the same undeveloped state as it has been for hundreds of years. Fast forward to present day and many might say that the pace in Swansboro hasn't changed much. Relaxed, coastal living is here. All along the White Oak River and the Intracoastal Waterway, residents and guests alike enjoy outdoor living all year long, including fishing, boating, kayaking, camping, hunting, hiking, and biking. And a lazy day…or a brisk walk… at the beach is just mere minutes away. Swansboro is a popular destination for transient boaters. The town currently offers limited docking facilities and plans to develop more. Local marinas are also convenient to the downtown area. Hammocks Beach State Park is a popular tourist destination for Swansboro. The park offers an undeveloped beach on Bear Island which can only be reached by ferry or private boat. This mostly wild and undisturbed setting is popular with day-trippers, boaters, kayakers and campers. Many homes with picturesque views of the White Oak River or the Intracoastal Waterway can be found within the 1.4 square miles that make up the town. With a population of just over 2,900, Swansboro has two county elementary schools, one middle school, and one high school. Swansboro hosts a wide variety of events throughout the year, the most popular being the Annual Swansboro Mullet Festival of North Carolina, which celebrated its 60th year in 2014. 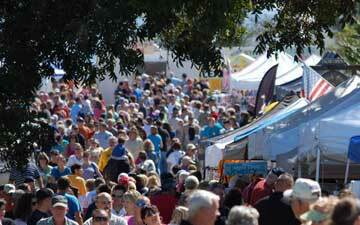 Other popular events include the Arts by the Sea Festival, Military Appreciation Day at Hammocks Beach State Park.